Should You Consider an Estate Sale in Greater Cincinnati? What’s an estate sale and why would you consider having one? Estate sales have, by definition, been thought of as sales of personal belongings after the owner has passed away. And in the majority of the sales today- that assumption remains true. However with so many homes for sale in Cincinnati Ohio many of the current owners are facing wrenching decisions of what do with certain personal items -that may have value- but nobody in the family needs or wants. Sound familiar. We’re experiencing strange times when two generations -the boomers and many of their parental units are downsizing at the same time the “kids” (gen x and gen y) have no interest in taking ownership of stuff. 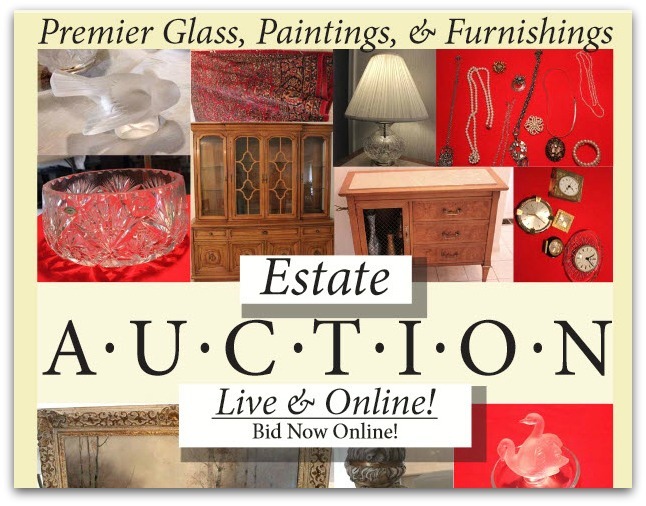 While estate sales are normally considered when liquidating a large amount of items -many of today’s licensed auctioneers/estate sales people are willing to group merchandise from a variety of sources for online auctions. Estate sales are not for everybody or everything. What is the goal of the estate sale? Completely empty a condo or house-leaving nothing but empty rooms behind or do you want to only sell selective items? Your decision will make a difference on who to hire when the time comes. Are you willing to pay a third party to handle the estate sale/auction? On a personal note, I had to become an instant expert on managing an estate sale/auction for a family owned property in Michigan. I had several good recommendations from family and friends living in the area- but calls to several vendors weren’t returned for several weeks. So I emailed a local auctioneer Brent Semple with whom I have dealt with in the past. The email read (and I’m not kidding) need you, your clone or a recommendation to handle all the contents in a home located in Detroit suburb. Within a few hours I had a name, phone number and one with quick call an appointment was set. Since I’m here in the Cincinnati area and the house is 280 miles away- I needed somebody to handle selling everything and disposing of anything that wasn’t sold. At the meeting the date for the sale was set. I discovered that July is not the best month for estate sales because of vacations-so August 6th is the day. The sale is being handled by Pamela Rose Auction and so far I’ve been impressed with communications and online presence. We decided to both an “on-site” and online auction. Also it’s important to know what is and isn’t allowed in your neighborhoods or complexes before deciding on what course to take. Parking at most condo complexes makes it very difficult to handle heavy foot traffic which is why online auctions have become more popular. Also, while many neighborhoods allow “For Sale” signs -some do have restrictions on the number of days an “Estate Sale” sign may be planted. Lot’s of potential “estate sale” clients have mastered using e-bay , Craigs List and resale stores are beginning the downsizing process at their own pace. Fortunately for those of us living in greater Cincinnati lots of options are available to help facilitate the process. Need more information or start house hunting now-Click here to to Call: 513-300-4090,by email or Subscribe.